Our product range includes a wide range of wood nc paints, wood n.c. clear paint, wood melamine clear paint, wood nc primer surfacer, wood paints and wood primer. Recommended Primer Chamak N.C.P .S. Grey . This is one pack quick drying Nitrocellulose base paint, it is formulated in accordance with the latest development in the lacquer industry. 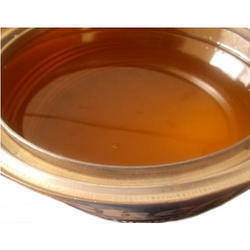 It is based on selected grades of Nitrocellulose, high grade of non oxidising resin and plasticizer. 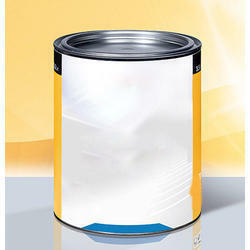 It is pigmented with high capacity, light fast pigment to produce high gloss, hard flexible and durable film. 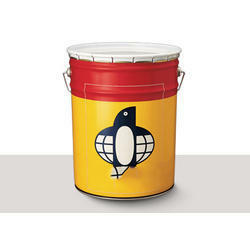 It has very good water, petrol, and lubricating oil resistance. It has very good rubbing properties. The metallic shades give a duel tone effert and are extremely brilliant, glossy and durable. Remove dirt, grease, oil, dust. Clean the surface properly. Adjust the viscosity of lacquer to 18 sec. by F.C. No.4 with CHAMAK N.C.Th inner No.199/111 Ensure that CHAMAK P.S. applied over the body has th roughly dried and has been sanded down propely Spray 2 to 3 coats of lacquer at a pressure of 40 to 50 PSI at an interval of 10 to 15 minutes between coats. Air dry overnight Scuff the surface with No. 400 wet or dry silicon carbide paper using soap and water. Clean the surface with water, dry it and spray one flow coat of acquer by mixing one part of lacquer to two parts of CHAMAK N.C. Thinner No.199/111 to a viscosity of 15 sec. by F.C.No. 4. Air dry overnight. Burnish with std. made rubbing compound. followed by Polish with std. made wax polish. After painting with CHAMAKAutoprimer Paints regular washing and using of silicon polish or wax polish is enough to maintain the original gloss and colour of the paint for years. Stir the content throughly prior to use. Method of Application By spray @ 45 p.s.i. Sand the wood surface along the grains with suitable sand paper. Wipe the surface clean free of loose dust. Now fill the surface with wood filler N-C. Sanding Sealer After 2/3 hours of diying, sand it again with emery paper no.320. Again ensure that surface to be coated is free from loose dust etc. Now take out CHAMAK Base and CHAMAK Hardner in glass or plastic or enameled container and mix them in 9 : 1 ration (by volume). Let the mixture stand for 30 minutes for cure. Now apply by brush or spray using recommended thinner. Use the mixture withing 8 hours. After 48 hours of application buff the surface with buffing mops to enhance gloss if CHAMAK Clear glossy is applied. Ideal for new wood, Chamak NC Primer surface has excellent filling properties and is specially formulated to prevent the 'sinkage' of gloss that occurs when synthetic enamels are applied directly on wood. 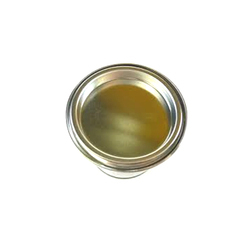 Chamak NC Primer should be brushed in properly to ensure that it is worked into the surface in order to prevent 'sinkage' of gloss on the top coasts of enamels applied. The primed surface should be dry cut with emery paper no. 280 before finish coats are applied. 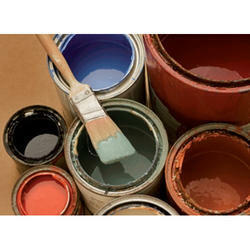 Being a business leader we offer premium quality of Wood Paints solutions. These are the perfect for those looking for long lasting wood finishes. 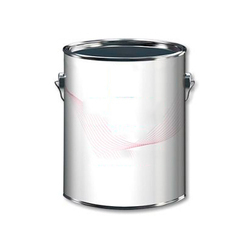 Our wood paints are made using only the high quality materials and the latest technology. It will give your wooden surfaces a clear and decorative coating that will increase their aesthetic appeal. With the extensive knowledge and experience in this respective domain we are engaged in providing high quality range of Wood Primer. The offered primer is well-processed utilizing qualitative grade chemical compounds & cutting-edge techniques by our dexterous experts in compliance with set quality norms. To ensure its high purity, this primer is duly tested on diverse quality parameters by our quality examiners. 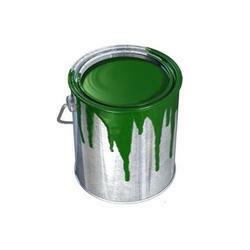 Furthermore, the provided primer is available in different color options at reasonable rate. Keeping in mind the precise demands of customers, we manufacture and supply a wide range of Wood Thinner. 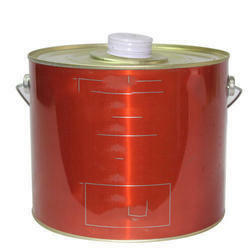 These find their wide application in various industries for polishing various types of things. Our finest quality Wood Thinners is very effective to maintain various wood furniture items. Besides, these are available with us in various sized packaging and at very affordable price. These are very safe to use. With the assistance of skilled and experienced professionals, we offer our customers’ quality approved range of Wood Putty that are accurately formulated utilizing quality approved materials. These products enhance the functional life of wood and leave behind lustrous shine. Our products are volatile in nature and are chemically stable. We offer the entire product range with different capacities and can be customized as per the requirement of our customers.